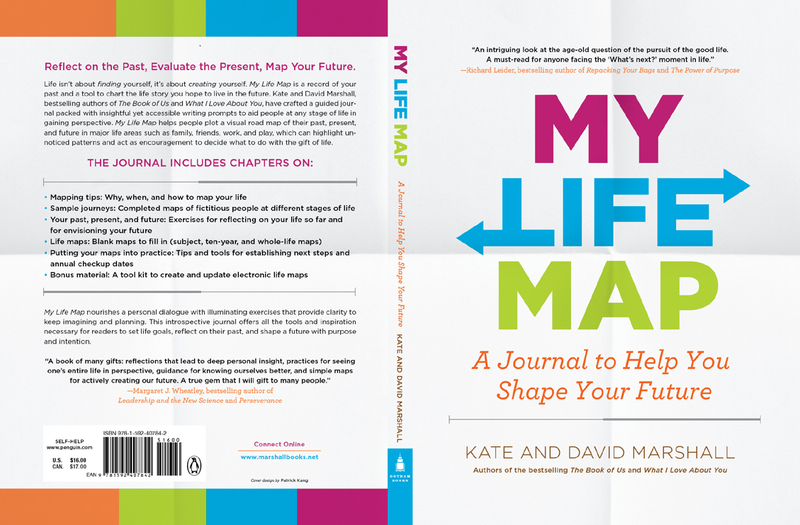 We recently received the front and back cover from our new book, My Life Map, from our publisher Gotham Books (a Penguin imprint); it turned out really nicely. Endorsements from two of Berrett-Koehler’s bestselling authors, Richard Leider and Margaret Wheatley, grace the front and back cover. This entry was posted in Life Planning, My Life Map on October 6, 2012 by Marshall Books.